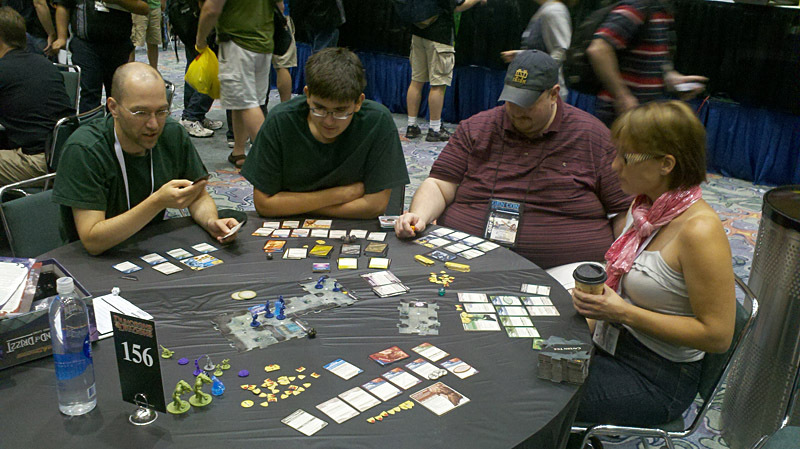 Although we weren’t able to make it to GenCon this year, we were lucky enough that a friend of Dice Hate Me was there – Marc Specter. 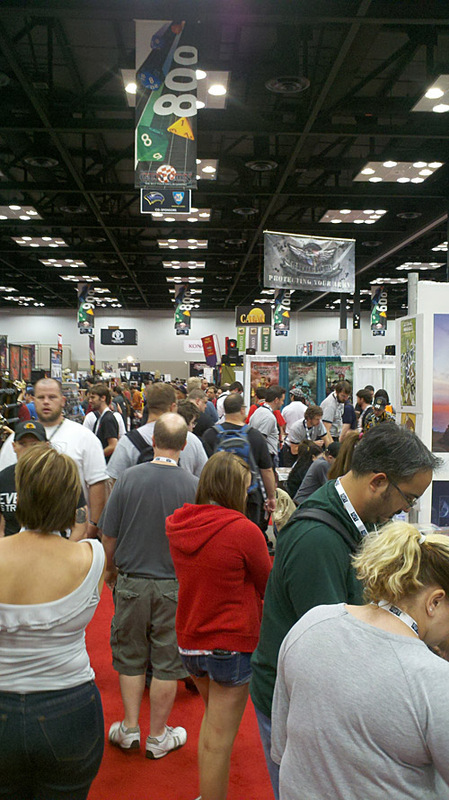 Marc attended GenCon on Saturday and was kind enough to volunteer his impressions of the big show. We’d like to thank Marc for running the gauntlet for us! 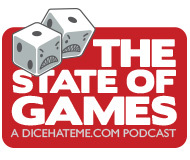 Also, look for a special episode of The State of Games on Thursday when Patrick Nickell will share his experiences (including interviews with some industry giants) and Monkey238 and I will share our thoughts and experiences at the World Boardgaming Championships in Lancaster, PA! That took us to just after 10am, in time to be just behind the stampede into the Exhibitor Hall. And to the EH we went! 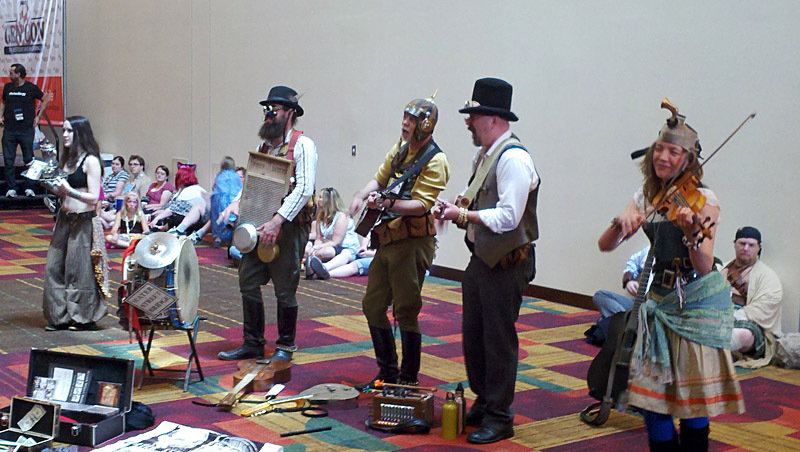 Unlike other gaming conventions, the EH at GenCon is truly a spectacle to behold. Mostly because you just cannot behold it in one sweep of your eyes. The hall is so vast, so cavernous, that the only way to absorb is to just dive in. Many of the big players had their grand displays, but it was the appearance of the smaller players that really drew me in. As displays goes, I think the EH at GenCon just has a very professional, polished feel. The layout was great, with areas focused for specific interests. For example, at the far left of the hall was a dedicated family area. The exhibitors there were all focused on younger games. As a gamer trying to cultivate a family of gamers, it is sometimes easy to forget that I did not start out with elves, trains, and Euro-style bits. The Family area really drew that home, and all of the Exhibitors there were truly excited about the younger gamer. After about 2 hours strolling through 1/3 of the Exhibitor’s Hall, it was off to lunch and then to play the new Drizzt board game in the D&D line. It was a good experience at another cooperative game — and we won! — but it lacked the smoothness of Shadows earlier in the day. It seemed that the GMs were just running too many boards with too many people, the copies’ parts had gotten mixed up, and it just was not very smooth. Overall it left me disappointed and with a less-than-impressed feeling for the game, and that is the difference that can be made by a GM that has it together versus one that does not. After that it was back to the EH to tour the remaining 2/3, and make some purchases. We bought a number of family games that had been demonstrated by very enthusiastic booth attendants, and I picked up 5 Dominion expansions for $100. I think I scored a sweet deal. We spent some time with the artists and authors, another truly sweet dimension at this show. 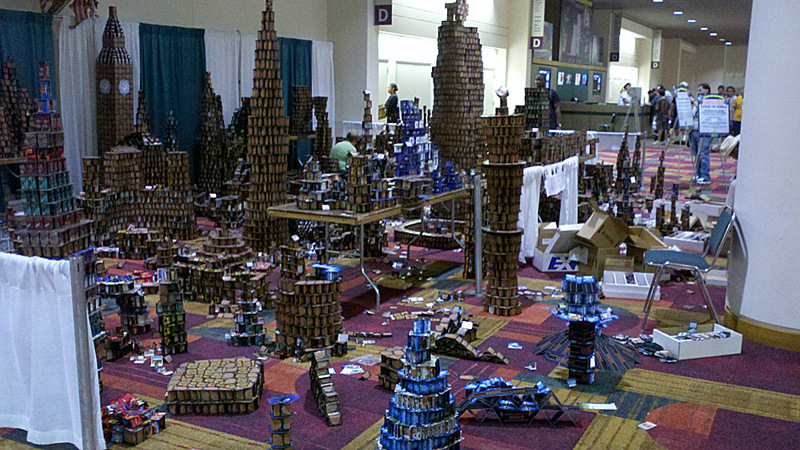 Only at a venue like GenCon can talent of this caliber be found. After the dealer room closed at 6:00pm and we grabbed dinner, it was off to one final RPG, Oz: Dark and Terrible. I think the name says it all, and without going into all the detail, let’s just say it all ended with a somewhat self-inflicted total party kill. 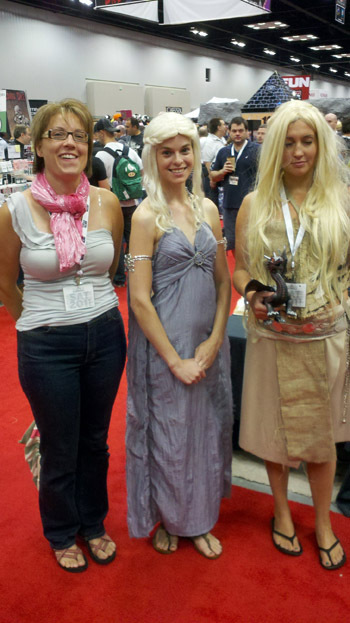 All told it was a great second visit to Gen Con, and one I would gladly repeat. I was sporting the button I got from you at Origins while I was there. I don’t know if I gave you any new viewers, but it was certainly well received.